Colorado, a new glass sculpture by artist Dale Chihuly is now on view in Denver Botanic Gardens’ Ellipse garden at 1007 York St. The work has been added to the Gardens’ permanent collection through the generosity of private donors including Robert and Judi Newman, John and Ginny Freyer and the RC Kemper Charitable Trust, UMB Bank, n.a., Trustee. 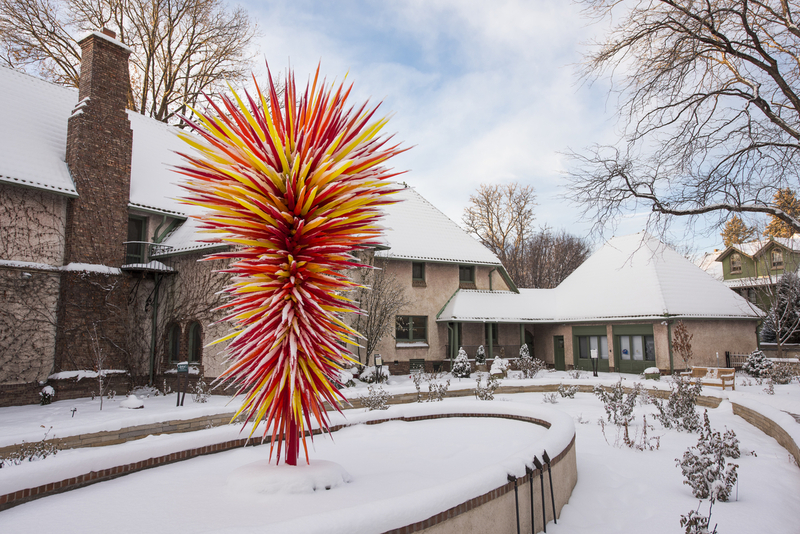 It is comprised of 1,017 hand-blown glass elements and stands more than 14 feet tall. Viewing of Colorado is included in Gardens’ admission. Chihuly used a red, orange and yellow color palette as it reminded him of the skies and sunsets he enjoyed during Denver visits. 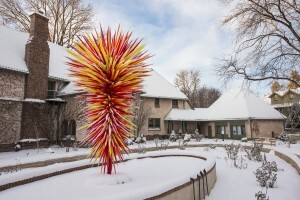 Chihuly’s collection set record attendance numbers at the Gardens. He drew inspiration for the new work from one of his most challenging outdoor installations, Icicle Creek Chandelier, a permanent outdoor installation he did in 1996 at Sleeping Lady Resort in Leavenworth, Wash. Installed on a granite rock, the chandelier is a permanent reminder of how a work of art can be framed in nature and find harmony within it. Like Icicle Creek Chandelier, Colorado is designed to sustain similar outdoor weather conditions. For more information, go to www.denverbotanicgardens.org.